Italian F-35 instructor pilots talk about their first experience at the Red Flag exercise and the extraordinary capabilities of the fifth-gen aircraft. Three Italian F-35 instructor pilots participated for the first time in the USAF's premier air-to-air combat training exercise Red Flag at Nellis AFB from 8 to 22 March 2019 (more details here). They came from USAF 62nd Fighter Squadron (62nd FS) homed at Luke AFB where they are currently based to train all Italian Air Force pilots assigned to the modern stealth aircraft. 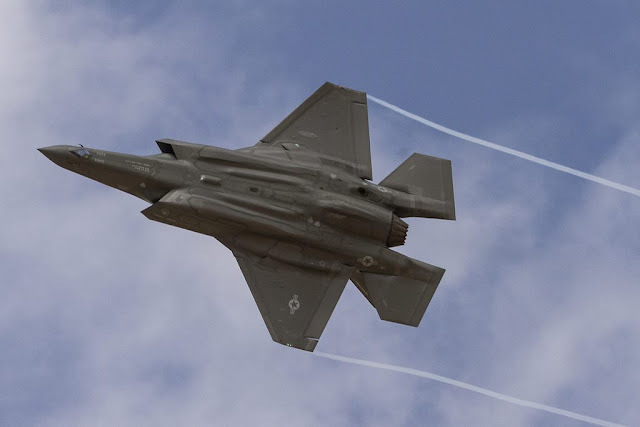 In addition to the F-35A fighters, RF 19-02 included several fourth-gen combat aircraft from the United States, Saudi Arabia, Singapore, Belgium, the Netherlands and the United Arab Emirates. The integration between very different platforms has been the focus of the exercise: "the integration of the capabilities of the fourth and fifth generation aircraft maximizes the abilities that both can offer", said one of the Italian instructors, Major Emanuele. The F-35 aircraft held many roles during the RF 19-02: the 62nd FS aircraft formations carried out many Air Superiority missions in the SEAD (Suppression of Enemy Air Defenses) role with the task of escorting and protecting the aircraft of the coalition from land-to-air SAM (Surface to Air Missile) threats. At the same time, they defended the coalition from "enemy" aircraft, along with other "friendly" aircraft, such as the F-15Cs, reducing the risk of loss of men and aircraft and allowing other units to complete their missions. Furthermore, they have successfully carried out some DCA (Defensive Counter Air) missions, where Italian pilots have also operated as Battle Manager, transmitting tactical information to other air assets. The F-35s operated in formations composed of four aircraft acting as force enabler. They achieved significant results in threat neutralization, with an average of about seven SAM systems and five Red Air assets suppressed for each mission. 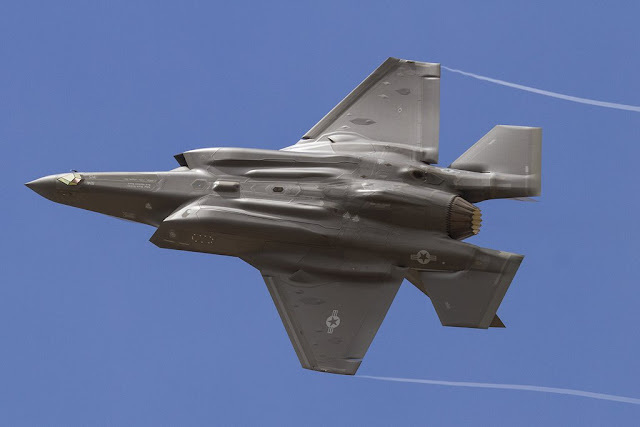 The F-35 was the only system to fly 100% of the planned sorties: the five aircraft deployed at Nellis carried out two missions every day with four aircraft. At the end of the Red Flag the pilots and specialists of the 62nd FS were enthusiastic. "I've always dreamed of flying an F-35, a fifth-generation aircraft. I always thought that it had unique fighting capabilities and I had the confirmation from the first flight [...] participation in Red Flag, one of the best exercises in the world, confirmed to me the ability of the aircraft beyond all expectations," said Major Alessandro after completing the last mission. "The results we have achieved in these two weeks are incredible: the statistics prove it". The weapon system was the most effective in neutralizing SAM systems and absolutely essential in the immediate transmission of all the fundamental information for the success of the mission. "We knew we had an operating advantage, thanks to the fifth-generation technology, but we didn't expect such a high rate of success," said Magg Emanuele. "During the 16 OCA (Offensive Counter Air) missions, we have neutralized more than 100 SAM systems without losing any F-35s." "I was impressed by the skills demonstrated by the F-35 in a complex and realistic environment such as the Red Flag where there are great pilots who simulate the Red Air, or the enemy air forces," added Major Giuseppe. "During our missions we were among the first to enter the area of ​​operations, well inside the enemy lines, and the last to leave it, thanks to the Low-Observability feature of our fifth-gen aircraft. 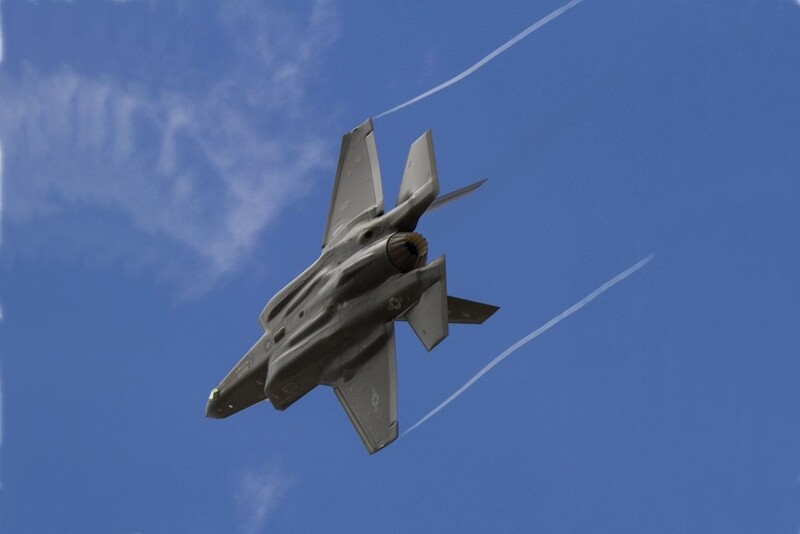 We were able to identify, transmit and neutralize terrestrial and air threats very quickly, protecting the coalition's assets in highly risky circumstances: the advanced capabilities of the F-35 were often decisive." Maj. Gen. Peter Gersten, Commander of the USAF Air Warfare Center (the Command that develops the method of use of the future weapon systems of the USAF and which heads the Weapon School), flew a Red Flag mission aboard an F-35 belonging to the 62nd FS, in a formation consisting of two Italian pilots and a Norwegian pilot. At the end of the flight he said: "It was an honor to fly with the Italian F-35 instructors during the Red Flag. Our network of alliances and partnerships is at the heart of global security, and exercises like the Red Flag help strengthen these relationships. The F-35 program has been designed to integrate strategic and allied partners to be able to better train and be ready to operate in real-world scenarios. I am proud to have taken part in the mission and to have been able to observe the professionalism of this extraordinary team". Colonel Igor Bruni, Commander of the Italian Military Representation in the United States said: "our instructors have made the difference during these two weeks and have received the recognition of "Top Performer of the Mission ", this further proves their skill and competence".